It was the last hoorah. The year was 2007 and my husband and I set off on an epic 6-week jam-packed trip around the world. After that it was time to settle down, buy a dog, pop out a few kids and get on with life. It’s 2012. 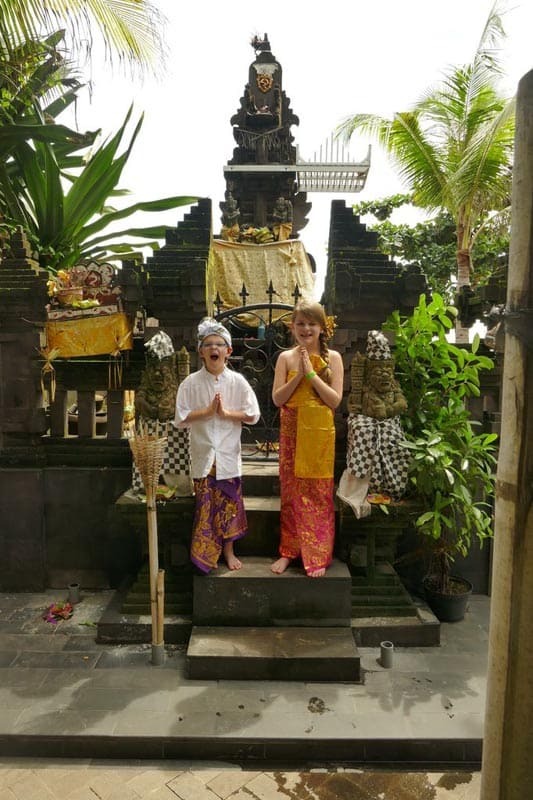 We now had 2 gorgeous kids (3 & 4 years old) and we booked a one-way ticket to Bali. We sold our cars, rented out our home and lent our dog to friends. Perhaps we would be gone for 6 months. Who knew? It’s 2015. 1000 days of non-stop travel have flown by. Our kids are 5 & 6 and have travelled for more than half their lives. They have visited over 45 countries and seen more of this amazing planet in the last 3 years than most adults experience in a lifetime. How did we get here? What is so different about us? And who knew you could still travel the world… with kids?! In 2011 my husband mentioned that he could run his web design business from anywhere in the world and presented an unexpected travel proposal. It was nonsensical. Keep in mind we had a great life at that point: a comfortable house, a cute dog and 2 beautiful children. We owned 2 cars and were contemplating upgrading the house to something bigger near the ocean. It probably would have meant working more hours than the 60 per week my husband was already doing, but we were ready for the next step in our “Great Australian Dream”. How Do I Leave My Comfortable Life? Until that proposal. Leave? What about my comfy life in Perth, Australia? It's even rated in the UN’s top places to live. Who would leave? It had never really crossed my mind before that point. Well, perhaps I could do with an adventure, I thought. And after a few typical excuses why it couldn’t be done, I agreed to take the plunge and give it a try for 6 months. We packed up all our belonging and stored them in our garage. 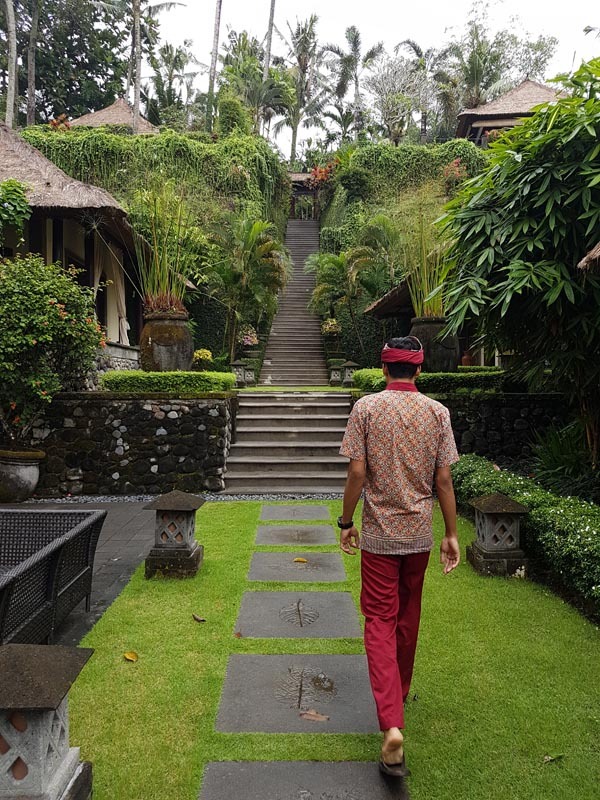 Then we rented our house (excluding the garage), found someone to look after our dog, we sold our cars and booked a crazy one-way ticket to Bali. Bali is only a short 3.5-hour flight from Perth. It felt close enough so if anything went wrong we could turn around and go home. But nothing went wrong. In fact everything went so much better than I expected. Our cost of living reduced by over 65% compared to what we had been spending in Australia. We spent more quality time with our kids and we were living a far better lifestyle. Our beautiful accommodation included a full time cleaner and a tropical swimming pool. And my husband’s working hours gradually reduced from 60 to around 4 hours per week. Time moved on. We visited Singapore, Philippines, Hong Kong, Thailand, Malaysia and finally after 6 months we decided this was exactly how we wanted to live. So we booked a one-way ticket across the Pacific Ocean, destined for Los Angeles, USA and the journey continued. At our 1000-day milestone I reflect on the 45+ countries we’ve experienced including the USA, Mexico, Belize, Guatemala, Sri Lanka, Israel, Jordan, Turkey, Italy, France, Spain, UK and the UAE. In 2014 we spent several months back in Perth to sell off as much of our belongings as possible that had spent nearly 2 years gathering dust in storage. We visited family and friends and then departed for Europe in April. The rest of 2014 was a whirlwind through Europe, visiting 26 countries in 9 months. After a frosty winter in Lapland, Finland we made the smart choice to fly back to the tropics and here I sit in Bali, Indonesia at the beginning of 2015. Our 2015 plans include a visit to Australia again before returning to the US and Canada. Those are the plans anyway. But, like jelly on a wall, our plans rarely stay fixed. Watched over 20,000+ paper lanterns floating in the twinkling night sky in Chiang Mai, Thailand, and released our own. Hot air ballooned above the most unique landscape in Cappadocia, Turkey. Went water sliding with sharks at the Lost World of Atlantis on a man-made island in Dubai. High-fived Mickey Mouse twice at Disneyland (Los Angeles and Hong Kong). Swam with wild turtles in Mexico and then swam with sharks and sting rays in Belize. Explored Chichen Itza in Mexico and climbed Mayan ruins in Belize. Hand-crafted chocolate in Guatemala (some of it ended up in our mouths!). Floated effortlessly in the Dead Sea in Israel and stood speechless at the majesty of Petra in Jordan. My 5-year-old abseiled down seaside cliffs in Malta, while my 4-year-old bounced on giant trampolines in a 176-year-old cavern, 100 feet below the surface, in Wales. Road tripped evergreen Ireland (without hitting Leprechauns) and took an epic train journey across the most scenic landscapes in Europe. Cruised the perpetually beautiful Greek Islands and climbed snow-capped alps in Switzerland. All this with kids. And that is just the beginning. We started our nomadic travel lifestyle for a little slice of family adventure, but what we received was so much more. 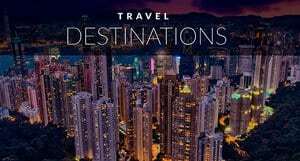 I found a new calling through publishing a travel blog. My passion for creative writing and online marketing combined and Explore with Erin was born. But more than that, a travel lifestyle has given us precious family moments we will never forget. I barely remember it. But you know what? They don’t need to remember it. If they forget I have a great travel blog they can read. But more importantly travel is shaping their inner core. It’s moulding who they are and who they will be later in life. Lucky for us we left when the kids were 2 & 3 so we didn’t have to think about this for a few years. As we get closer to school years we have been pondering our choices. The kids are gaining such a massive education through everyday life, so much more than they could from textbooks or inside a classroom. They understand maps and are great with geography. They have learnt to count to 10 in 4 different languages. We don’t read about dinosaurs, we visit them at museums. We don’t watch the The Sound of Music, we tour Salzburg in Austria where the movie was filmed. The world is their educator at the moment and we have no doubt they are academically far ahead for their age. Poor kids… they will have no friends? When I ask my daughter who she wants to invite to her birthday party, can you guess what she says? The answer is “Greyson from Bali, Keanu from Guatemala, Indy from Australia…” and the list goes on. To her the world is a smaller, less intimidating place in which friends are only a flight away. We have connected with a close-knit travelling community of like-minded families who approach travel like we do. One particular family we have met in Indonesia, Thailand, Australia and Romania. My kids play with others regardless of their language, race, religion or social class – they are more social than anyone else I know! Travel doesn’t have to end when children arrive on the scene. In fact it is just the beginning. Children allow me to see the world through fresh eyes. Everything is new and exciting. Disneyland characters are real, animals are unbelievable, and friends don’t need to speak the same language as long as you can share a smile. And on top of all that we have moments with our kids that we can never get back. We are building a family foundation that, whatever the future holds, will be as strong as bedrock. And this mum’s biggest hope? That travel will be squeezed out of their system so when they are older they will stay close by and take care of my husband and I… When we’re not off scaling mountains and skiing in the Alps! Erin has been travelling with her two children since May 2012. It’s an open-ended, unplanned, round-the-world trip discovering amazing places for families. They have stayed in hostels and 5 star luxury resorts, travelled on scooters and cruise liners, danced with leprechauns and cuddled tigers. 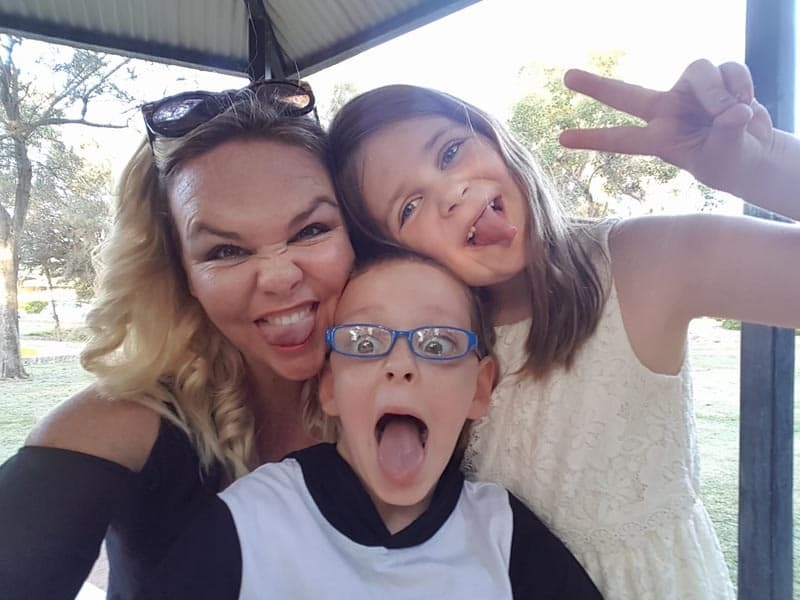 Nothing is out of bounds or out of reach for this remarkable Australian family. 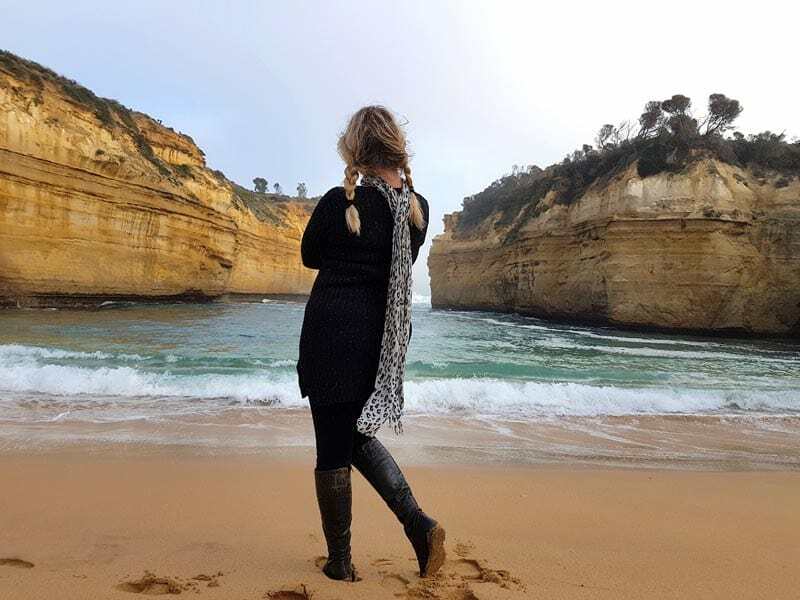 You can find unique family travel insights at her award-winning travel blog Explore with Erin, follow her on Facebook, share her inspiring photos on Pinterest, or catch her tweeting on Twitter. 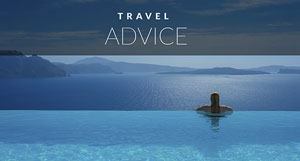 « Travel Medical Insurance: Do I really Need It? 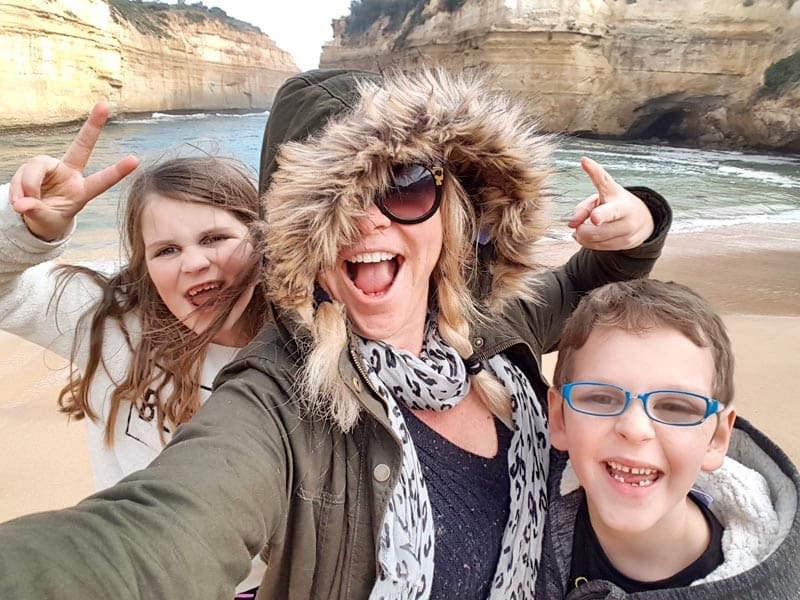 28 Responses to "People Say I’m Crazy For Travelling With…"
I love this post and I am not even a parent yet.Your family is one of the many examples of people who travel with kids non-stop and I love it. I’m So glad you enjoyed it and we love that we give hope to those without kids as much as those with kids. Really inspiring life. Maybe some day i would go travel with my kids like you. Keep posing. Cheers ! I hope you do Dennis, it changes everything. I cherish this post and I am not by any means a guardian yet. Your family is one of the numerous samples of individuals who go with children non-stop and I adore it. Oh geez, that is so sweet. Thank you. Fabulous story, stunning photos, gorgeous inspiring people! I’ve been following you on social media for the last few years and I love seeing your adventures. I hope someday we venture outside of the US for some international adventures. I’d love it is our paths cross next time you come to the US. But how did you fund it?? I know the cost of living may have been much lower in some of the countries you visited, but the excursions etc will have been pretty pricey (esp for 4 of you). I would love to do this, but how on earth do people afford to do it?? Great question! My husband was a web designer when we started. His business came with us around the world. We do things differently these days. 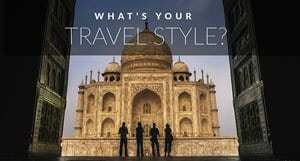 You can read this post and it explains it all: http://travelwithbender.com/travel-thoughts/show-me-the-money/ We answered some money questions and we had some other people do the same. It is exactly what you are asking about. Hi Nicole. They key is to plan. Before we left in 2009. We worked for a year living frugally, no eating out, no buying new clothes, going for bike rides and walks rather than going to the movies and out for dinner. We lived in a smaller apartment instead of our large house. It’s all about prioritizing, if you really want to make it happen, you can. It’s just like saving for a new car or house, when you set your mind to it, you can find ways to cut bills and save dollars. Before we left for our full time travels in 2009, we had $20,000 in the bank. Not enough to last us forever, but enough to give us a good start until we could start making money from our travel blog. https://theplanetd.com/our-journey-from-a-travel-dream-to-professional-travel-bloggers/ If you really want something you can do it. I assume Erin would have had many of these dream activities comped because she has a successful travel blog. But if she was like us, at first Sse and her family probably would have done more affordable excursions. That’s what we did. We’d do one dream activity every few weeks, but then we’d do more affordable things like city tours, beach walks, rock climbing, renting bikes…the rest of the time. When your blog gets more well known, it is easier to get a tour in exchange for writing about it. You eventually are invited on many tours and excursions, but it takes time to get to that level. And as Erin said, her husband could do his work remotely. That is how a lot of people do it. 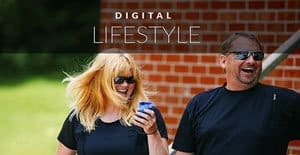 Dave and I did it differently with saving enough money to last until our blog could take off, but many people have jobs they can do on the road. Everyone does it differently, but everyone does it for the same reasons, because they are passionate about it. I know people that house sit around the world, Couch surf around the world and work their way around the world. The common thread we see is that everyone is just an average person with a big dream and they turned that dream into a reality by going for it. 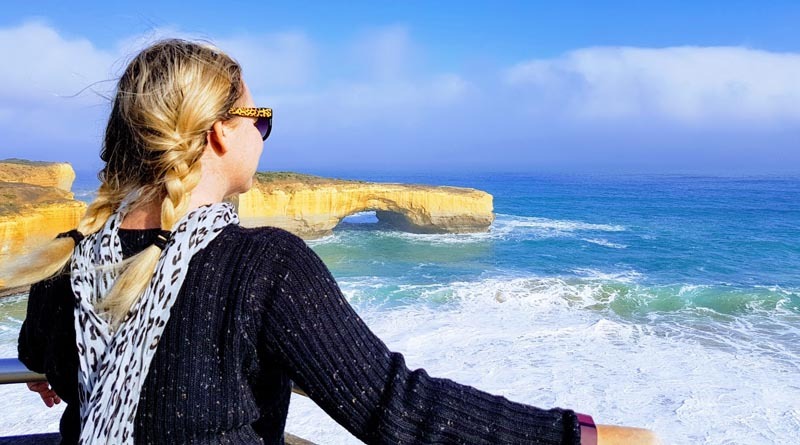 If you surf blogs for advice like the links Erin left and our advice section https://theplanetd.com/trip-planning/ and then keep on digging, you’ll be able to do it too….if you really want to. Best of luck and thanks for asking a great question. Wise words, Deb! You are right – we just spent a month in Bali, relaxing and working. Total monthly spend $2500. This gives us plenty to spend on something special or fly somewhere great next. The day to day living is cheaper so that those times you do want to splash out you can. It is great to see that so many families doing this! I too have been traveling with my two sons since 2002 (basically since they were born and they are now 13 and 14). Not continuously like you but in 1 big international trip per year, one within USA and one within Mexico. (I am from Mexico City but we live in San Diego California). I identify with a lot of what you describe. I too believe that they have gotten much more of a global hands on education that any book could ever teach them. They do attend public school in San Diego. But they learn more in the 3-5 weeks per year when we are abroad than they do during their whole school year. Good for you and your family. Keep going and best of luck to you all. Congratulations on your amazing family journey Magdalena. That is so wonderful that you have been traveling since 2002. We found that time to be such a magical time to see the world. Everything was just on the cusp of changing, but it hadn’t done so yet. It’s great have been able to see it all then. Our favourite years on the road were definitely the time between 2000-2005. I still love it, but back then before social media, constant internet and connections, it was amazing! I’m with you on the argument of “the kids won’t remember” first of all, what about you? It’s your life and it doesn’t stop just because you have kids. I think it also really shapes them whether they remember or not, it forms who they will become and travel is the best education. I’ll definitely check out your blog, cheers! You said it lady. I would have loved having a life of travel as a kid. Can you imagine someone saying they suffer because of travelling? Everyday would be a new adventure and kids crave adventure. They learn and absorb so much by seeing the world and have fun doing it. Yay! Mum 🙂 You are my encouragement and my support – I couldn’t do it without you! Travel + 1000 Days on the Road + 2 Beautiful Kids = WINNING! P.S. I don’t have any kids of my own but when I do…I intend to mimic your lifestyle! Thanks so much for including our story. It’s such an honour to be able to share with people that travel doesn’t stop with kids. We have just as much adventure! If anyone has any question please comment or find us on social media, we love having a chat! Thanks for sharing Erin. I felt that I learned so much about you. When people meet you and your family they can feel how happy you are. I think not only does travel not stop with kids, you have proven that you thrive on travelling with kids. I saw you in Greece as a family and you have rocked it! Congratulations on everything and looking forward to seeing the family adventure continue.